AV and IT solutions, for Collaboration and teaching, for Corporate and Educational, with the aim of creating effective environments in which studying, teaching or working is easier and more satisfying. 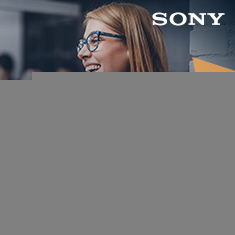 The ISE 2019 of Sony (stand 1-N20) is all in the sign of Collaboration. The main novelty, in fact, is REA-C1000, the latest generation of IA-based Edge Analytics Appliance, designed to revolutionize presentations in Corporate and Education environments. 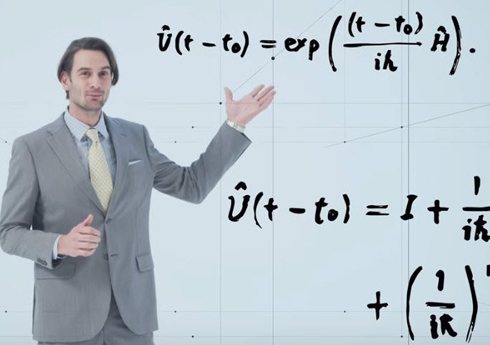 REA-C1000 is able to significantly improve the communication between speakers and audience, allowing presenters to reach every single listener in any environment, even remotely, thanks to the Handwriting Extraction technology, which detects and optimizes the texts written by the presenter on a blackboard recognizing the characters; the contents are then displayed on a special display. Edge Analytics Appliance, moreover, has been designed to work in synergy with Sony PTZ cameras as well as with XDCAM camcorders, as well as with desktop or laptop devices, through a simple HDMI connection. REA-C1000 offers overlay CG without chroma key, Automatic PTZ Tracking, Focus Area Cropping and Zoom based on gestures. Connected to REA-C1000 is Vision Exhange 1.2, Sony’s flagship solution for active learning and interactive presentation, presented at ISE with UX/UI improvements, system expansions and better support of BYOD functionalities. At the Sony’s stand, visitors were able to enjoy demonstrations on how this solution can improve the learning and teaching environment in a variety of educational settings. Continuing this “chain” of novelties, here is Miris Netcapture, developed by Sony with UbiCast, provider of lecture capture solutions. Miris Netcapture is a new network solution that integrates with Vision Exchange in order to create more interactive and engaging video content for learning. While Vision Exchange supports the sharing and annotation of content from laptops, smartphones or tablets in the classroom, Miris Netcapture captures the transmitted content and transfers it to the UbiCast MediaServer video platform; from here, the video content can be reviewed, managed and distributed through a video player dedicated to social learning. In short, the classrooms can do without a dedicated recording device. Simply install Miris Netcapture in the server room, and the system will dynamically acquire the contents of the desired classroom. Regarding Smart Building and work environments, at ISE 2019 more than a novelty Sony presented a series of implementations to its well-known TEOS solutions. 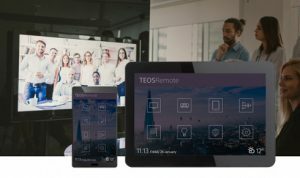 With TEOS Manage 2.0 new controls and functions have been introduced such as Universal Employee Application, Room Control – New Add-On and New Universal Meeting Room Sensor. Moreover, thanks to new controls, including sensor and voice control, TEOS makes possible management and collaboration in the workplace, for an even smarter office. But Sony also means screens and projectors. In these areas, the ISE innovations are summarized in Crystal LED, with the remarkable 8K x 4K unframed screen, and in the new installation laser projectors. VPL-FHZ75 (6.500 lumens) and VPL-FHZ70 (5.500 lumens) are compact laser models with WUXGA resolution that also offer the “Intelligent Setting” feature, which allows you to quickly configure the settings ensuring stable operation over time. And finally, after the success achieved with the launch of Virtual Production, the Sony’s cloud production service on demand, this solution will also be equipped with new features, presented in preview at ISE 2019. To meet the growing needs of live streaming of corporate and academic events, Virtual Production will be compatible with Sony’s XDCAM Pocket mobile app, which allows you to stream high quality content on social media or on a website, directly from the smartphone. In addition, it’s possible to use PowerPoint as an additional source of content during the live streaming of your events.